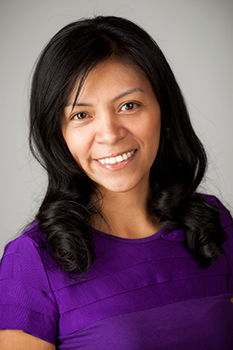 Veronica H. Villena is an assistant professor of supply chain and information systems in the Smeal Business School at Pennsylvania State University. Her research focuses on how companies engage their global supplier network to achieve economic, environmental, and social outcomes. She has worked with leading sustainability companies in the automotive, electronics, consumer product, and pharmaceutical sectors on how they can diffuse their environmental and social practices to their first-, second-, and third-tier suppliers. Her research explores the challenges companies face in cascading their environmental and social requirements to these upstream suppliers. It also provides insight into suppliers’ constraints in and reasons for not fulfilling such requirements. Her studies have been recognized by the Production and Operations Management Society, Decision Sciences Institute, and Academy of Management Society. Her work has been published in a variety of prestigious journals, including Journal of Operations Management, Production and Operations Management, Journal of Management, Journal of Supply Chain Management, and Decision Sciences. She also serves as an associate editor for the Journal of Operations Management. Dr. Villena's research papers can be accessed at https://www.researchgate.net/profile/Veronica_Villena. She received an MBA and a PhD in management from IE Business School. Before joining academia, Dr. Villena worked in manufacturing, purchasing, quality, and project management. Her experience as an auditor for SGS has enabled her to assess the process management of hundreds of multinational companies in various industries in Europe and Latin America. Villena V. H., Choi T. Y., Revilla E., "Revisiting interorganizational trust: Is more always better or could more be worse?." Journal of Management, vol. 45, no. 2, 2019, pp. 752–785. Villena V. H., "The missing link? The strategic role of procurement in building sustainable supply networks." Production and Operations Management Journal, 2018. Villena V. H., Gioia D., "On the riskiness of lower-tier suppliers: Managing sustainability in supply networks." Journal of Operations Management, vol. 64, 2018, pp. 65–87. Villena V. H., Lu G., Gomez-Mejia L., Revilla E., "Is top management team-supply chain manager interaction the missing link? An analysis of risk-bearing antecedents for supply chain managers." International Journal of Production and Operations Management, vol. 38, no. 8, 2018, pp. 1640–1663. Villena V. H., Craighead C., "On the same page? How asymmetric buyer-supplier relationships affect opportunism and performance." Production and Operations Management, vol. 26, no. 3, 2017, pp. 491-508. Villena V. H., Choi T. Y., Revilla E., "Managing the dark side of collaborative buyer-supplier relationships." Supply Chain Management Review, vol. November-December, 2015, pp. 50-55. An earlier version of this paper was a finalist for the 2012 Chan Hahn Best Paper Award at the Academy of Conference, Operations Management Division. Revilla E., Villena V. H., "Knowledge integration taxonomy in buyer-supplier relationship: Trade-offs between innovation and efficiency." International Journal of Production Economics, vol. 140, 2012, pp. 854-864. This paper was chosen as a finalist for the Student Paper Competition in two conferences: The 2010 POMS Conference (College of Supply Chain Management) and the 2010 Academy of Management Meeting (Operations Management Division). This paper was chosen as one of the 2009 Best Paper Award Finalist at Decision Sciences Journal.